It’s a strange thing to say! “It’s not about the money.” But you have to believe me when I say this. It’s all about “The Plan”. More specifically it’s all about “Your Plan”. As we wrap up this year, a review of some key financial points is in order. I have often repeated myself saying, “You can have anything you want in life. You just can’t have everything.” All we have to do is figure out the things we most want to have and to do. This step in making choices is critical. A client told me, “I chase squirrels. The minute I get an idea in my head, I run after it.” In his situation, he was talking about spending money on the “latest thing” he wanted to purchase. His attention easily becomes diverted from his true list of goals and dreams on his family’s must-do and must-have list. And he is not alone. Two culprits which often steal our dreams are fixation and distraction. These culprits can appear on the scene whether we have a financial plan or not. Have you ever said, “I can’t afford it!” whatever “it” may be? 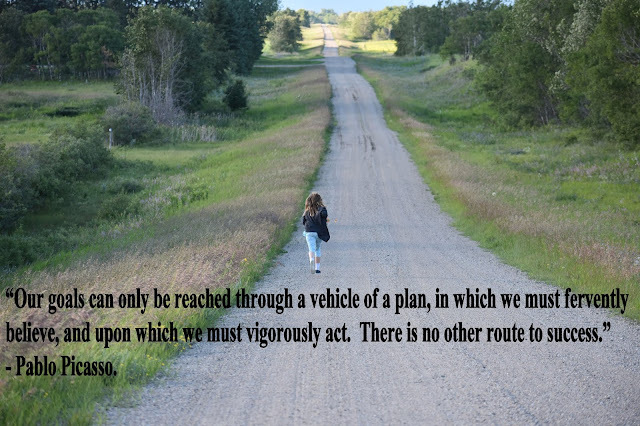 When we are fixated on the lack of money, then we need to shift our eyes onto a plan. We don’t want to rob ourselves of any worthwhile dream just because we don’t have a plan. I said at the beginning, “it’s not about the money.” The plan is what helps us to focus on our desires. When we have a plan, we are likely to chase after the things we want rather than the things we only think we should have. Distractions come in different shapes and forms. We often have to resist the power of influence which distracts us from achieving our goals and dreams. To prove my point, examine your bank and credit card statements for the past year. Find those pesky financial transactions -- the purchases you didn’t intend to make at the beginning of the year. With a financial plan, money is funneled in the direction of our genuine intentions: holidays, home renovations, and education and retirement funds. Incidentally, my thoughts turned to a childhood story about a little blue train engine who had a big mountain to scale to the other side. The goal was to deliver packages of toys and food to the people. Although the trek up the mountain was hard slugging, she kept repeating four magical words, “I think I can!” “I think I can!” And she reached the top. Slugging away at our goals and dreams, fixated on the plan and determined to avoid distractions requires every ounce of our energy and financial resources. When we give up too easily, we face the risk of disappointing ourselves. When we repeatedly tell ourselves, “I think I can! I think I can!” we instill belief in ourselves and our goals and dreams. This story of The Little Engine That Could is filled with inspiration. Positive self-talk can override our skepticism in our ability to achieve seemingly impossible goals. The real power kicks in when we believe in our financial plan. Do you still have doubts about where your focus rests? Please share your skepticism and comments with me. Were you ever involved in a pilot study or project to evaluate whether something was worth putting into practice? 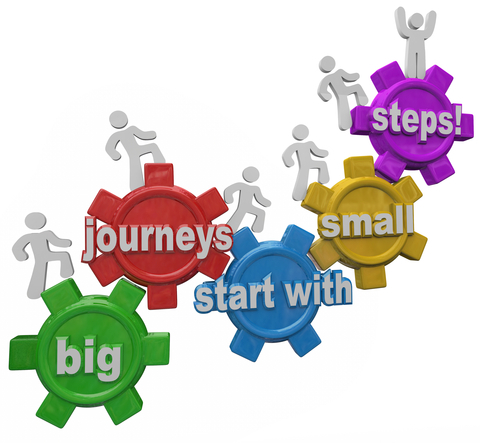 Most businesses or governments will conduct a feasibility study or short-term experimental trial on a small scale to determine the feasibility, time, cost, and adverse events prior to implementing a project on a large scale. Think of it this way. We may need to implement a pilot project for our Christmas practices. 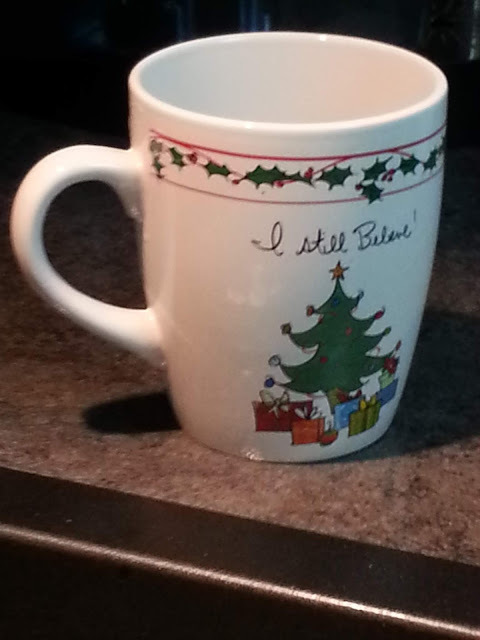 The last thing Christmas should be is s-t-r-e-s-s-f-u-l! So what if we conducted a pilot project to determine what we need to keep doing, stop doing, and start doing so Christmas can be enjoyable. A Do’s and Don’ts guide may help keep our plans in perspective during the holiday activities and the Christmas giving season. By sharing our thoughts and ideas, we can help each other spread a little more joy and happiness. To begin on a positive note, let’s focus on the Do’s. 1. Do keep the enthusiasm going. We are coming off the month of November which promoted smart financial planning techniques and ideas. We are revved up! “Rah! Rah! Rah! Go after what you really want!” And then what happens? We run smack into December and fall into a slump of repeating old habits. But this year will be different! We have a guide to prevent us from falling into those small old traps. I, too, am guilty of being lured into these same traps. 2. Do be aware of what you can and cannot afford. Be brave and honest with family members about the money you can reasonably afford to spend on Christmas. Hiding the fact that you can’t afford to be generous is a hindrance. Having a heart-to-heart family meeting and setting limits on your Christmas gift exchange is a wise step. Coming together to discuss suggestions like a recycled gift exchange may alleviate the financial stress. There’s an old wise adage, “One person’s junk is another person’s treasure.” This may serve two purposes: scaling down on items you no longer use and passing on an inexpensive gift. 3. Do keep in mind as people get older, the last thing they need is more “stuff” they don’t need. A common theme seems to exist. We can all look around our homes and garages and notice our accumulation of “stuff” we no longer need or use. We may also have received gifts which sit on our shelves or are packed in the back of our closets. Be conscious of wasting money on gifts your family and friends won’t use. 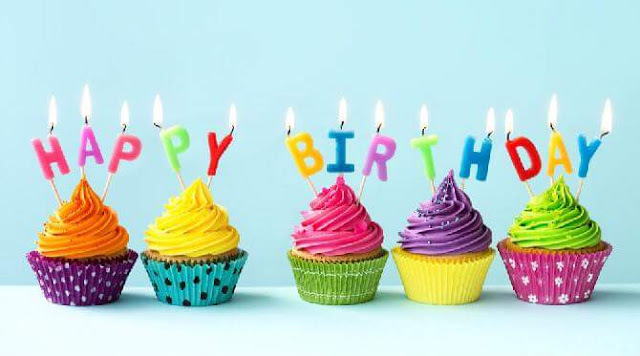 Many times people say, “Whatever I need I go and buy for myself.” This may lead to family and friends negotiating whether gifts should bought for anyone over eighteen. 4. Do keep a list of useful gifts. If in doubt, buy socks! That’s what my elderly neighbor Caroline always did. She had a generous heart with a limited budget. Her heart was always in the right place. She gave socks as a Christmas gift because she knew they would be used and not stuffed in a corner or be a dust collector for someone. If socks are not your “thing”, then you can always give a plate of homemade goodies. No one says “No!” to food unless of course it’s January 1st. There’s no straight answer for the ideal gift. If the gift comes from your heart, then the recipient will feel the love which comes with the gift. 5. Do be conscious of a child’s toy collection. Our grandson has way too many toys. I refused to buy another tractor for him to add to his accumulated collection of five. My ideal gift is a book but even books can easily become dust collectors. Recently, I stumbled upon the ‘four-gift’ rule which is a custom where you buy only four gifts for your children: what they want, what they need, something to wear, and something to read. I realize some will scoff at the idea of downsizing the number and the cost of their gifts to their children. We all have choices. That’s understandable. We earn our money and we have a right to spend it how we choose. The word of caution is to watch for being “excessive” with our Christmas purchases. We might use this season of giving as a teaching moment for children to share with others who are less fortunate. 6. Do look out for the craziness in the cost of some items. Now our attention turns to the Don’ts. Just nod as you read through the list when you catch yourself saying, “I do that!” Our focus is to stop and think about what we are doing. These may be our greatest Christmas money-wasters. 1. Don’t overstock on groceries. With the additional company between Christmas and New Year’s, we seem to be brainwashed into believing we will run out of food. We have a tendency to prepare more than we will ever eat. We tend to be overly cognizant of our needs for chocolate and nuts. These Christmas cravings lead us to overspend on these luxury treats. We justify the need for extra boxes as Christmas gifts or a kind gift offering to the hostess for inviting us for a meal. What happens? We find ourselves still eating these leftover chocolates in June. There is nothing wrong with eating chocolates any time of the year but stockpiling beyond our limit at Christmas is silly. 2. Don’t prepare too much food. The extra baking and casseroles tend to go into the freezer and later have to be tossed. Hands up if you do that? Mine is the first! Do you know what happens when you try to give food away? When New Year’s Day comes, no one wants it because (surprise!) everyone is dieting. It’s their New Year’s resolution. 3. Don’t leave your Christmas shopping until the last possible day. When we have a tendency to delay our Christmas shopping, we find ourselves rushing through purchases which results in the wrong and costly choices. We may miss possible sale prices on items and we are forced to pay full price. 4. Don’t shop to impress. Generous hearts lead to generous gifts when we lavishly want to spoil our loved ones. Our love should not be reflected in the price we pay for any gift. If it is, I must stress that we need to be prepared for the financial consequences. One article I read tells it like it is, Enjoy the Holiday Season without paying for it in January. And I might add, in all the months which follow. 5. Don’t be swayed by marketing schemes. When you are shopping for Christmas décor, the fanciest tree, the brightest and prettiest lights, and the most beautiful wreath all come with a price. The best time to shop for these items is on Boxing Day. For some, our wallets won’t allow it because we have exceeded our Christmas budget by that time. So as we pack away the decorations this year, the infamous line, “preparation relieves (financial) pressure” tells us to start planning for next year. I can hear the rant. “We don’t have the same selection at the end of the season as we do at the beginning.” I believe the compromise is tucking money aside in a savings account in advance for the things you want. Take time to appreciate what you have. Take time to slow down even for a minute. Take time to determine what you really want. Take time to remember the people who are less fortunate. Just “nod” as you read through this list when you catch yourself saying, “I do that!” and your Christmas is sure to be merry and bright. If you have any improvements to add to our Christmas pilot study, please pass along any advice on what to stop, start, or keep doing so that you can K.I.S.S. and have a Merry Christmas. Leave me a comment below! It seems like yesterday. But it’s not! It has been ten years since the “new kid on the block” was introduced to Canadians. This coming January we sing, “Happy Birthday!” to the Tax Free Savings Account (TFSA). When the TFSA was first introduced in 2009, I was working as an Investment Specialist. I remember those initial conversations with clients. The contribution limit of $5,000 for some seemed so insignificant; they could not see the benefits of investing their money in a TFSA to shelter the modest investment income they would earned in that first year. However, for a couple, sheltering the income on $10,000 proved to be a great starting point. Now look at the total contribution limit! 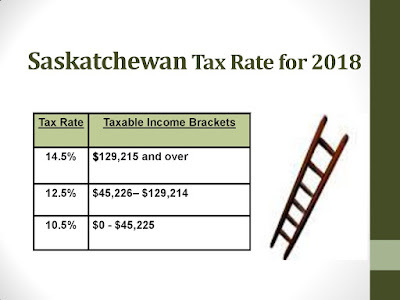 Canada Revenue Agency (CRA) recently announced the contribution for 2019 would be raised to $6,000, a modest increase from the previous three years’ limit of $5,500. If an investor has been faithfully socking away money into this favorable investment account, as of January 1st the total limit will be $63,500. What first may have appeared as an insignificant amount ten years ago has certainly become attractive for any individual or couple looking to protect investment income from being taxed. The majority of seniors who held money in non-registered investments embraced the new investment account. Every year they would transition money subjected to taxation into the haven of the TFSA where taxation was prohibited. Rightly so! They lowered their total income. In turn, they could take advantage of the potential tax credits and government benefits. 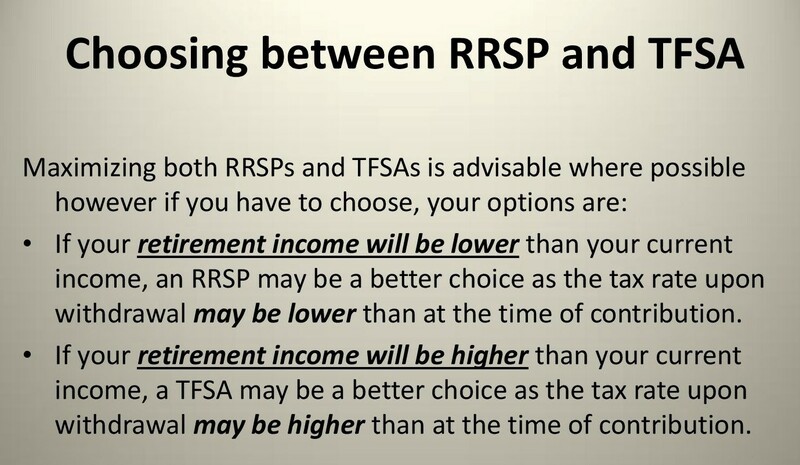 The confusion begins with people who are currently employed and cannot decide whether TFSAs or RRSPs are a better fit for their needs. Like any investment products, both have their pros and cons. When money is invested into Registered Retirement Savings Accounts (RRSP), the contribution reduces the annual taxable income (advantage). When the money is withdrawn from this safe-haven, the withdrawal amount, like employment income, adds to the annual taxable income (disadvantage). The opposite is true with a TFSA. 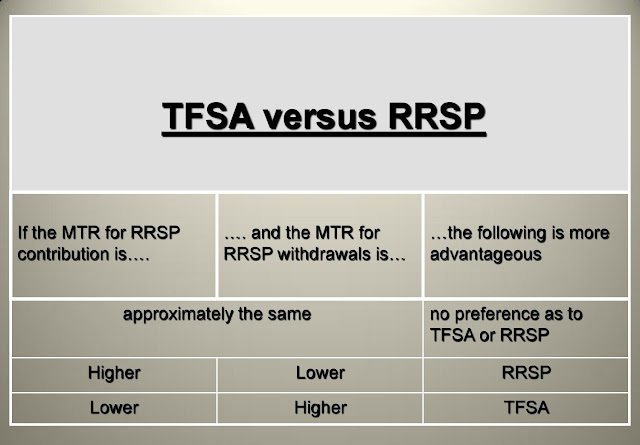 A contribution to a TFSA does not reduce taxable income and likewise a withdrawal from a TFSA does not increase taxable income. 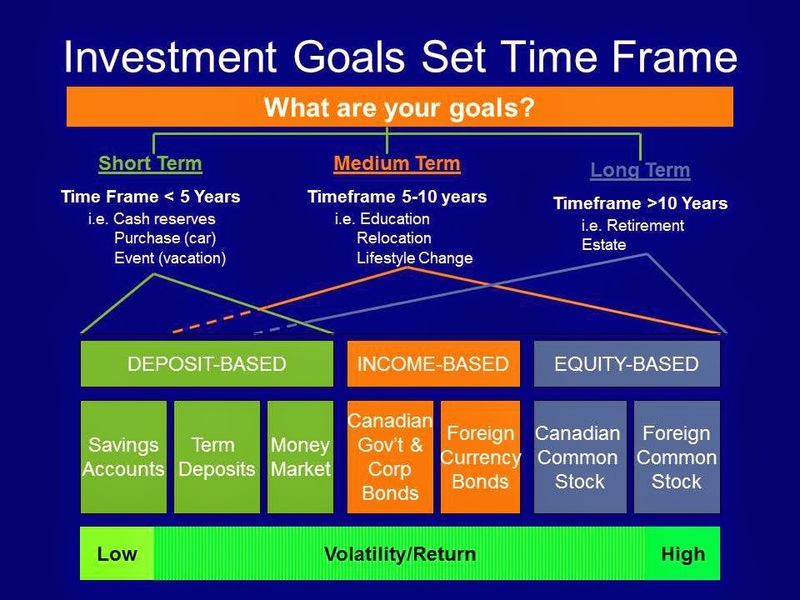 Deciding which investment account is better suited to your needs, the answer is determined by asking, “What are your goals?” The diagram below is quite clear about identifying three things: your goals, time horizon, and risk tolerance. Playing the guessing game to determine which investment product will work is pointless. Once you clearly recognize what you want to achieve, then you can evaluate your time horizon and risk tolerance. Many articles place blame on the name, Tax Free Savings Account. Most people associate the word, “savings”, with an investment made in a low-interest earning account. What you need to know is the sky’s the limit when you are deciding where to invest your money. Your choices are everything from a daily savings account to GICs, stocks, bonds, mutual funds, and exchange-traded funds. If you are one of many people who are caught at the impasse of saving for retirement and cannot decide which investment account is more advantageous, the secret is in your taxable income. Your marginal tax rate (MTR) is your deciding factor. The MTR is the rate of tax you will pay on your next dollar of income, both federal and provincial. 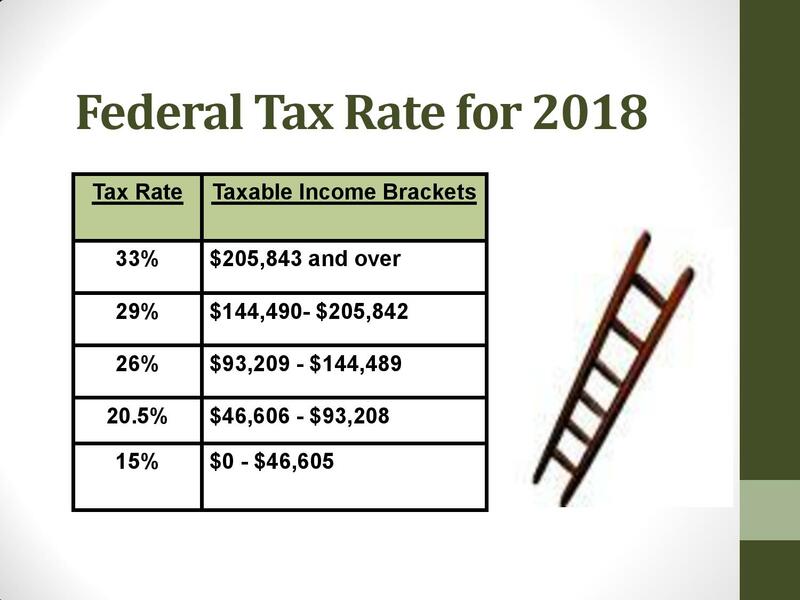 As your income climbs higher from one tax bracket to the next so will your marginal tax rate. 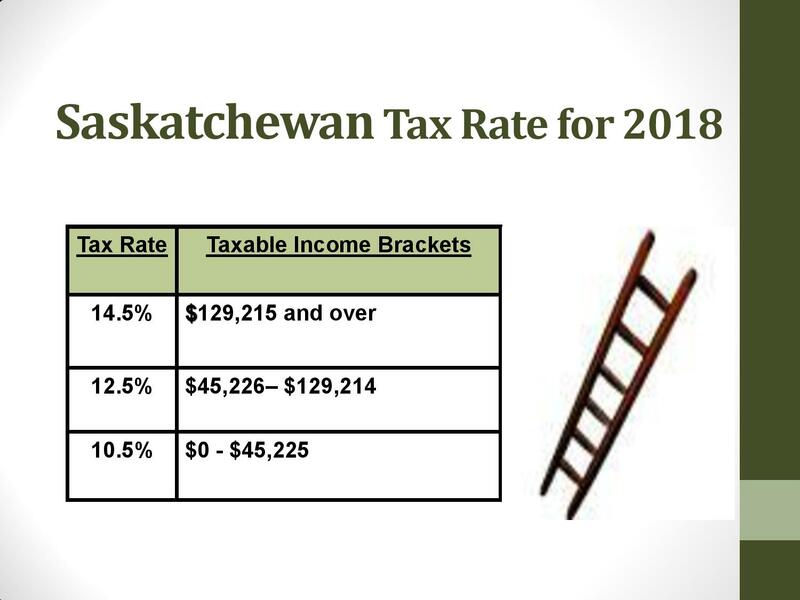 For example, if your annual income is $50,000, then your marginal tax rate (MTR) is 33% (20.5% Federal + 12.5% Saskatchewan). Once you know your MTR, then you are ready for the next question. Once you know this, you have your choice. To simplify the process, the chart below asks you to pick an answer (higher or lower) to determine an appropriate strategy. If your MTR for RRSP contribution is (higher or lower) and the MTR for RRSP withdrawal is (higher or lower), the following is more advantageous. 7. When’s the right time? I understand timing is everything. Many Canadians are self-employed and their savings are invested back into their businesses for good reasons. These Canadians have not capitalized on the Tax Free Savings Accounts yet because the opportunity has not been presented. Whenever the sale of their businesses or real estate does occur, they will seize the chance to tuck money into the TFSA. The benefit of the TFSA is the ability to carry forward the contribution room into the future. If you are one who has not opened a TFSA account, you should know that you can when the time is right for you. The interesting fact is you can give money to your spouse and children to invest in their TFSA without any questions. 8. What’s the hidden trick? A point of interest that deserves your attention is your TFSA contribution room may actually increase without your knowledge. 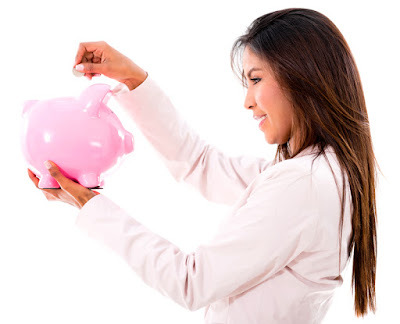 When you earn money on your investments (interest, dividends, or capital gains) and then opt to withdraw funds from your TFSA, the following year you can replace the full amount of your withdrawal plus the current year’s new TFSA limit. In all likelihood, your deposit may exceed the total contribution room offered to a first-time TFSA investor. Here’s why. The new annual calculation includes: your TFSA dollar limit, any unused TFSA contribution room from previous years, and any withdrawals made from the TFSA in the previous year. It’s your earnings that essentially increased your contribution room. In a nutshell, your annual contribution room can become uncertain if you are making regular deposits and withdrawals. As a cautionary measure, always keep a record of your transactions to take advantage of topping up your TFSA and to avoid any penalties for over-contributions. The Tax-Free Savings Account has served Canadians well over the past ten years. I believe they have their place in everyone’s financial plan. 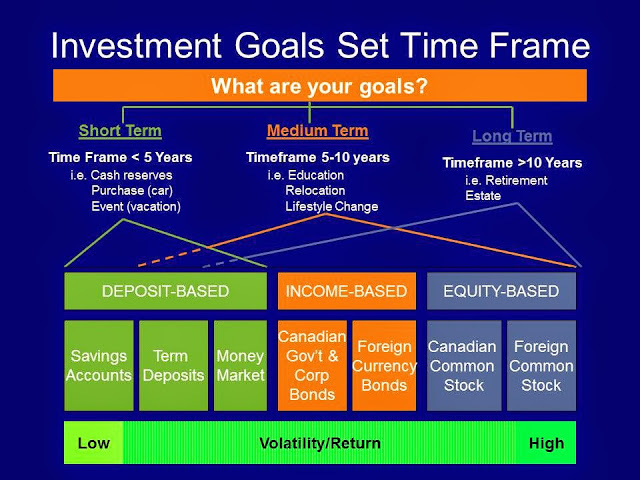 This investment account can serve multiple purposes depending on individual or household needs. Whether you are saving for something specific, like a vehicle, or funding discretionary items, like the occasional winter getaway, money can be tucked away inside a TFSA so it’s out of sight and out of mind. 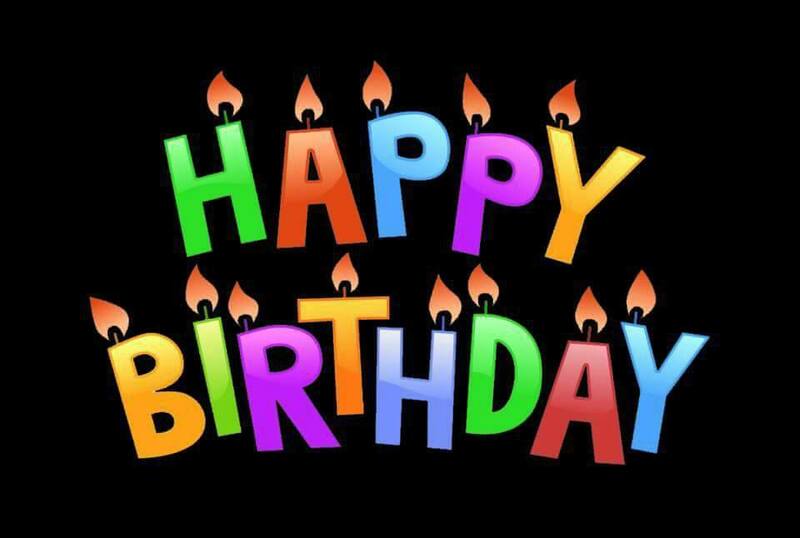 You’re making dreams and wishes come true! But I believe we have to do our part. What Bugs You about the Pieces of Your Financial Puzzle? Have you ever solved a jigsaw puzzle? Anyone who has learns something through the process. One thing is certain, puzzles require patience. Without patience you are hopeless especially when the puzzle has many pieces. The more complex the puzzle, the more difficult it is to solve. Did you know there are appropriate steps to solve a puzzle? The first step is to begin with what we know. We first look for the outside border pieces. These straight edges help define the boundary. Then the other pieces are sorted into piles by colours, patterns, and shapes. Particular attention is given to the tiny details on each of the pieces. These intricate details help place the pieces in their rightful place creating a final beautiful image. No doubt, we may not be interested at all in solving jigsaw puzzles. Ever! But perhaps we are interested in solving our financial puzzles. There’s a correlation between solving puzzles and fitting the pieces of our finances together so we achieve and create a beautiful image of our lifetime goals, dreams and aspiration. Looking at the disarray of our finances may resemble looking at pieces of a jigsaw puzzle. We can’t see the whole picture when the pieces of our finances look like they’re broken and shattered into one big heap. Debt here and there! Savings who knows where! Lifestyle expenses unknown! Consequently the more pieces to our financial picture, the more confusing and complex it can be. Working slowly through the intricacy of our financial pieces is the same advice a puzzle solver knows only too well. When we work too long on any project, the tendency is to become overwhelmed. The frustration leads to giving up on the puzzle. Most puzzle-solvers know their limitations. They walk away only to return later with a new burst of renewed energy and fresh eyes to see something new they hadn’t seen previously. We know a myriad of steps could solve our financial puzzle. Here are a few simple rules that we can extract from puzzle-solver enthusiasts and apply them to our needs. 1. Grasp the big picture. I am an advocate for putting your goals in writing. When you refer to your list, you will not be swayed by distractions. Your vision will be clear; and you will focus only on your concrete desires. 2. Be determined to see the picture come together one piece at a time. When you first sort through your lifestyle needs, debt obligations, and savings plans, you may not see the whole picture. But if you are persistent and determined to create a beautiful image with your finances, you will be astonished with the results. You must tell yourself that giving up is not an option. 3. Work with a partner. There are many advantages to having an accountability partner. Two such advantages are motivation and clarity. When you find yourself in a slump, knee-deep in financial confusion, you need someone who will shine a fresh perspective on your circumstances. We could all use someone to help us see what we can’t understand, analyze what we don’t how to fix, and especially achieve what we didn’t think was possible. Your spouse, friend, family member, or financial planner could be that person in your corner. These three simple, yet concise, steps sound so easy when you are making sense of your financial puzzle. The power is in knowing what to do and doing it. Any time you embrace knowledge, you are empowered to change your circumstances. When you manage your money and debt wisely and save for the future, you will achieve what you want to achieve. Post your question below! Every question deserves an answer. If there’s ever a time to get down-right personal, it’s when we discuss our investments with our advisor. Whether we are a first time investor or a sophisticated one, the document, which is all-telling and all-knowing about us, is the Know-Your-Client (KYC) application form. Our personal status, investment knowledge, and objectives are revealed in black and white. We need to take notice. We need to care about the contents. We may think it’s acceptable to fudge some of the information. For example, let’s use our investment knowledge. Perhaps we like to brag this up from poor to fair. In all sincerity, being honest about every detail is critical to our investment success. When we take investing seriously, we want to make wise decisions about where we invest our money. Matching the right investments to our purpose and time horizon is like finding the right partner through a dating service. If we desire a marriage made in heaven with suitable investments that align with our needs, then our financial advisor needs accurate information about us. This is where it all begins… We have to know our purpose for investing, the length of time before we will require the money, and, of course, the level of risk we are willing to accept. Open discussions lead to suitable investment recommendations from our advisor. Even though we may begin our investment journey with a meager amount, the point is our baby steps eventually result in whopping savings when we persevere and remain disciplined. Consequently, the puck doesn’t stop when our accounts are opened, investments are picked, and the automatic contributions are set-up. We must diligently review our investment decisions at least annually with our investment advisor. Life happens. Our personal and financial circumstances will change as time passes. Our original investment decisions may need to be tweaked with the changing circumstances. Here’s the best part. Take advantage of these annual meetings. Our advisor is our accountability partner. We all could use a dose of motivation and confirmation that we are on the right track headed in the right direction. Who better than our advisor to give us a pat on the back and congratulate us for taking care of our financial future? Money matters and so do our dreams. 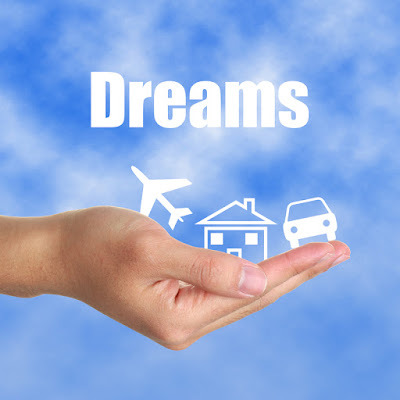 With our advisor’s help, our investments make our dreams a reality. This reason alone ensures we should willingly commit to the annual appointments. Also, with our advisors’ help our investment knowledge will likely increase when we commit the time and energy to learn from our conversations. A favorite analogy is relating this experience to starting kindergarten. Remember what that experience was like. A little scary! A lot of unknowns! Eventually we maneuvered our way up to high school and some of us eventually moved on to post-secondary programs. Scaling the investment ladder can be seen as the equivalent. A little scary! A lot of unknowns, especially with the markets! Eventually we will achieve success with the right investment strategy. There’s a second layer of confirmation. 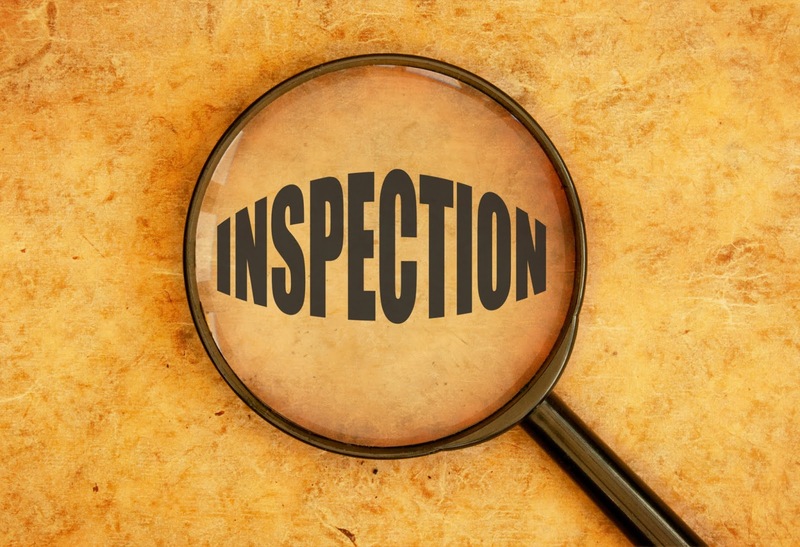 Security regulators carefully scrutinize recommendations made to investors. The primary reason for the KYC (Know Your Client) form is to ensure our hand-picked investments are in sync with our objectives. When we put our signature on the application form we confirm the information is accurate. We need to ensure we pay attention and do not dismiss significant details with a casual, “whatever”. These details are important to the outcome of our investments. We should not dread the annual meeting with our investment advisor but rather approach these meetings with confidence and assurance. We are ultimately taking control of our dreams by taking care of our investments decisions. Two resources to deepen our understanding are: the Mutual Fund Dealers Association of Canada’s fact sheet which outlines all of the information our advisor needs for opening our accounts and the Investor Centre’s explanation about the Know-Your-Client rule. 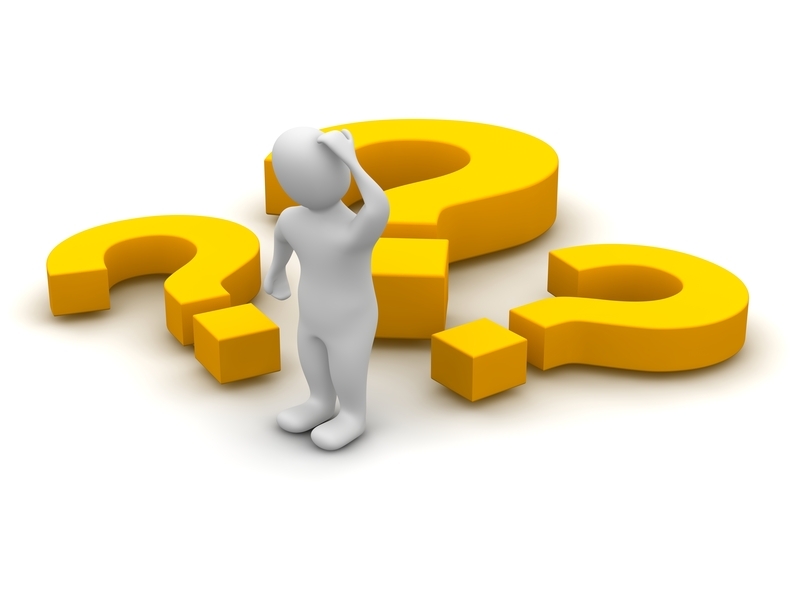 Have any concerns or opinions about taking care of your investment decisions? Leave me a comment below! What Influences Our Financial Decision-Making? Are you looking for an intriguing topic? You might find it in a report prepared by the staff of the Ontario Securities Commission. This detailed and elaborate study was conducted to better understand people’s behaviour when making decisions, primarily financial decisions. The report elaborates on Behavioural Insights gleaned from psychology, economic and other research and had this to reveal in its executive summary. There are numerous factors that influence the decisions that people make. Behavioural insights (BI) recognizes this and, through a combination of psychology, economic and more recently other behavioural research, examines how people are often neither deliberate nor rational in their decisions in the way that traditional models, strategies and policies assume. We need to ask ourselves these questions: “Are we like this? 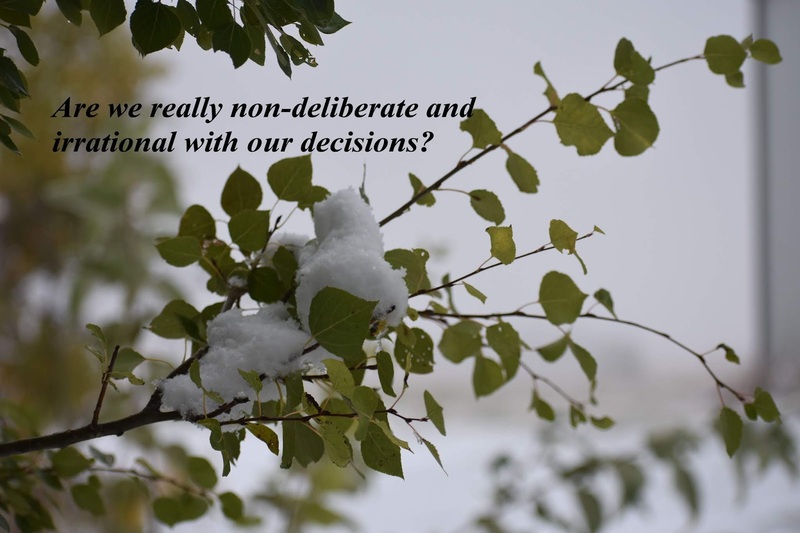 Are we really non-deliberate and irrational with our decisions? The primary focus for this study was to offer consideration and clarity in the development of new government and regulators’ policies. When policy makers are able to better understand people’s actions, choices, and thinking, they are more apt to design effective guidelines to protect them. 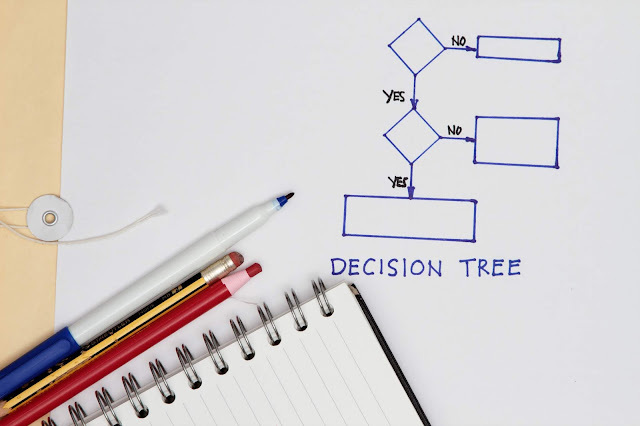 To gain a better understanding of our own actions, choices, and thinking, we could create a flowchart. This method, which offers explanations for our “Yes” and “No” answers, may look like this. If the answer is “Yes”, I assume we may do the following to support our decisions. All the options would be weighed in favor of one direction or the other. The costs are calculated. The “what-if’s” are considered: “Can we afford to wait if we don’t do it now?” Most importantly, have we considered whether this is the right decision for our family? Is this a “gamble” or a “sure thing”? Here are some examples: moving to a different province, trading a less-than-a-year-old vehicle for a new one because of mechanical issues, or retiring now or waiting two more years to receive the full-retirement benefit. We are uncertain and a decision needs to be made. We likely could make the wrong choice. We could also be forced to rely on someone’s expertise but we would need to trust their expertise. We are rushed and a decision needs to be made. We might feel backed into a corner and cave into gut instincts. We are pressured and a decision needs to be made. A deal might be on the line. Depending on our response the deal may be a “make” or “break” situation…a sale, a commitment, or a partnership agreement. We may be forced into a “deal” or “no deal”. We are people pleasers and a decision needs to be made. We are placed in the worst spot because we are inclined to avoid offending. For example, we could do the irrational thing and jeopardize our credit by co-signing a loan for a family member. And of course, we can always stand on middle ground by being indecisive. This approach really doesn’t get us very far with our decisions. We may know someone who does this; and we would rather not act or react in the same way. How do we deliberately and rationally decide to buy a new vehicle or to retire? How do we deliberately and rationally decide to change careers or build a new home? What affects our decisions today that were not present a year ago, a month ago, or even a day ago? We may believe we behave rationally until hindsight tells us differently, like my idea for a U-Pick Raspberry Farm which was shared in the blog post, Deliberate Thinking. Recently, someone pointed out that people often feel judged and criticized for their actions. This negative view could apply to a number of things they do and don’t do. In all sincerity, we need to notice whether we habitually question others’ behaviour, especially when money is involved yet fail to look are our own shortcomings. How can they afford to take an expensive holiday? I can’t believe they traded their just-like-new vehicle for a newer one. Why are they spending money on new appliances when there is nothing wrong with the ones they have? From our vantage point, certain decisions may not appear rational. 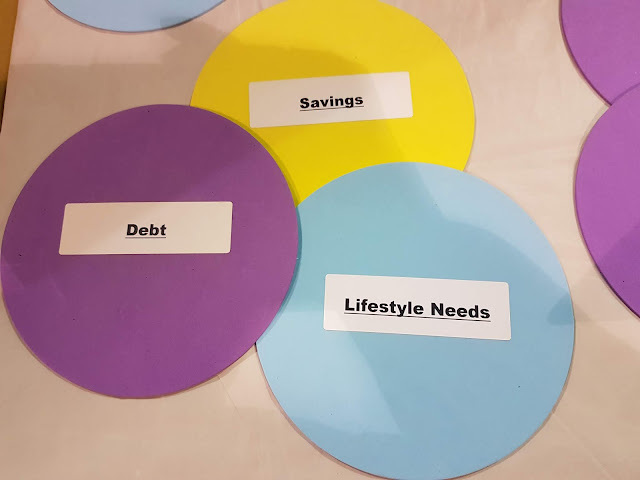 There have been times as a financial planner, when I tried to convince people not to withdraw money from their Registered Retirement Savings Plan (RRSP) for other purposes than retirement. No matter what I said, they were determined to do things their way. Nothing would change their minds. What does it take to change our minds? We like to think we are right when it comes to making a decision. 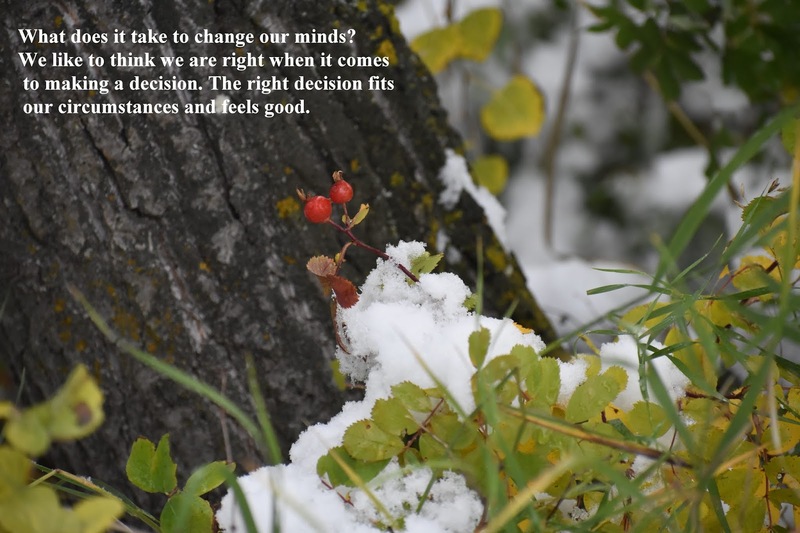 The right decision fits our circumstances and feels good. But I can attest there were times when I lacked the confidence to finalize a decision. I opted to confer with someone who had more expertise. I was grateful for their opinion and help. Would you do the same? Do you trust a professional to help you? Whether we concur with the report that lays claim to how people are often neither deliberate nor rational in their decisions, this report gives us a reason to examine our behaviour involving money. I have observed that our behaviour is driven by many influencers. 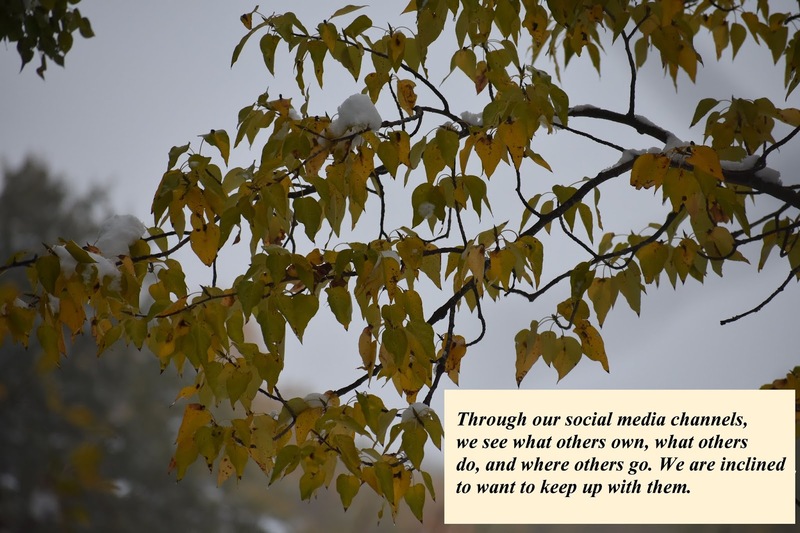 I would be interested in knowing if you can relate to these seven influencers. 1. Emotions. Good, bad, or otherwise. There are times our decisions are based on fear. When the markets tumbled in 2007 and 2008, some people were extremely fearful for their investments, especially their retirement funds. They panicked and transferred their money from a balanced fund to a money market fund where they felt it would be safer. They believed they were doing the right thing. Others were afraid but chose to watch and wait for the market to recover. They expected the value of their pension plan would return to normal. They believed they were doing the right thing. Their patience paid off. 2. Substantial Income. When we have a substantial income, we have the ability to spend beyond our basic needs. We can afford to travel more, buy more, and give more. We can lavishly spoil ourselves and others. Our decision to do so is based on our inflow of income. 3. Social Media. Through our social media channels, we see what others own, what others do, and where others go. We are inclined to want to keep up with them. The notion of missing out on what others have and do drives us to make decisions that might be contrary to the level of our income. This peer pressure devises ways for us to find the money even if we revert to using credit. 4. Financial Products. Sometimes financial products, with their unique features and benefits, can influence our decisions because they seem like simple solutions. The best examples are: loans set up at 0% for new vehicles, free payments periods for the first three months on appliances and furniture, or the all-inclusive mortgage loans for other purposes than for a new home purchase. These loan products entice us. In some cases, they distract us from making the right financial decision. 5. Time. The practise of shopping around for the best deal doesn’t work if our time is on a budget. We simply don’t have the time to investigate, probe, and assess whether our potential purchase is necessarily wise. The need is great and our time is limited. This could be a deciding factor in making a rational decision. 6. Education. When we come face-to-face with decisions that we don’t have the knowledge or expertise, we rely on experts to help us make the right one. We need to trust the “sales person” whether we are selecting one mutual fund over another because of its past performance or one television instead of another because of its quality sound and picture. Trusting someone else’s authority is an important contributor to the decision-making process. 7. Past experiences. Our present decisions can be based on our past experiences. We can run into a brick wall and realize we never want to face that situation ever again. We elect to make smarter decisions based on our encounters. The ideal example is being laid off because of a shortage of work in any particular industry. It is never a matter of “if I get laid-off”, it’s a matter of “when I get laid-off”. One has a tendency then to stockpile money into a savings account to be better prepared for the potential layoff from work. Based on this, what conclusions can you derive from your behaviour and decisions involving money? 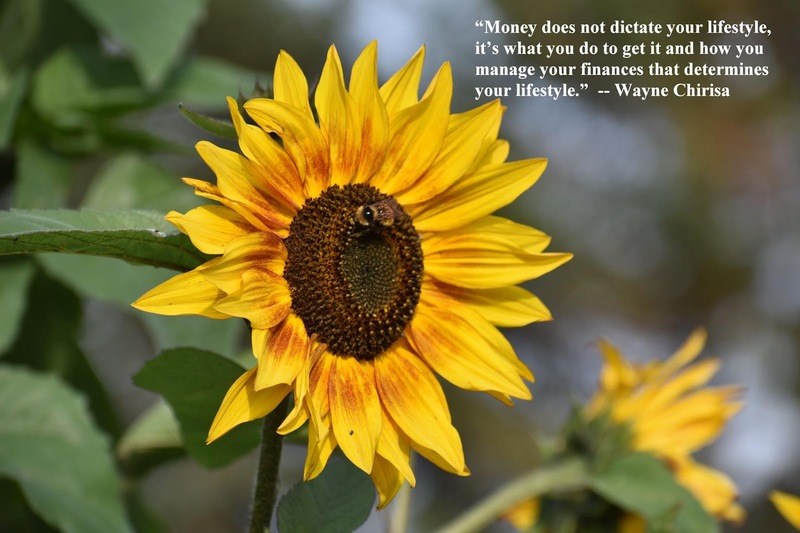 Are you a deliberate and rationale money manager? Tell me if you struggle with influencers which affect your financial decisions.